When I received this book a couple of days ago I was very excited to take a look at it, even though I do not work with glass. The book is so attractive and full of color that it was impossible not to look at it, definitely another great book by Lark. 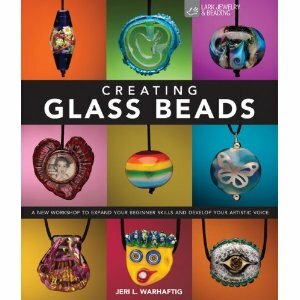 If you work with glass and are a beginner or intermediate level artist this can be a great addition to your personal library. The book includes 10 great tutorials with very good step by step images and instructions. The author, Jeri Warhaftig , had an incredible idea to included 14 "project testers" which made the 10 tutorials in the book. I love this idea because you can have a very real perspective of what you may be capable of making with this book. It is very interesting to see at the end of every tutorial the images of the testers and what they came up with. Some of them look very similar to the original piece in the tutorial but there are some that only use the technique and created very original pieces. The testers did not have images of the step by step tutorials and this makes their experience much more interesting. At the end of the book you can also read the testers comments and experiences while making the tutorials, great information. I want to giveaway this wonderful book to anyone who can leave a comment in this post. Tell me why do you like to create art. The winner will be announce next week, March 16. Do you have a twitter account? Tweet away and win another chance to win this incredible book. I like to make the images in my head real. I love animals and sculpting them brings me closer to them - lets me capture some piece of their grace or calm... It's such a marvellous feeling when you can make something beautiful. Thank you for sharing you love for making craft Christy ! I've been considering this off/on all morning. My initial reaction was Chritsy's "Because." Without going into a long essay, I feel it is something I am compelled to do no matter what and I think it's also something inherently human in nature in that each of us is sort of pre-programmed to release our excess energy or our thoughts, emotions, etc. in one way or another (possibly multiple ways) no matter what. For me, it is usually sewing since that's what I have most readily available, but I would like most for it to be ceramics or something clay-related. 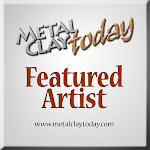 I love to create art to express my inner self and be one with the world! To me, it's an expression of myself in a tangible way. I put my Love & Light in each piece and people feel that and it makes me happy. Creating Art is the best Healing Anecdote, it can make any medical challenge seem far away, and can inspire new hopes, dreams and love. I don't want to win the book, just thank you for the wonderful comments, you really "got" what this book is about. I love your work, it is inspirational! I have a difficult time expressing my thoughts and feelings with words. Art allows me to express myself without words. YAY! Another glass bead book! I had no idea. I get so sad when I go to the book store and the craft section is shrinking. Looks incredibly fun. I create art (and want to improve my glass bead art) because it's my chance to go to a Zen place. I'm so Type A, have such an OCD complex, that melting glass and hammering metal takes me out of that rigidity and allows things to flow. Sanity, thy name is art. Thank You to all for sharing why you create art! I have enjoyed reading your comments. Thanks to Jeri, the author, for visiting my blog. I truly think your book is great and I am sure who ever wins it will be very happy. 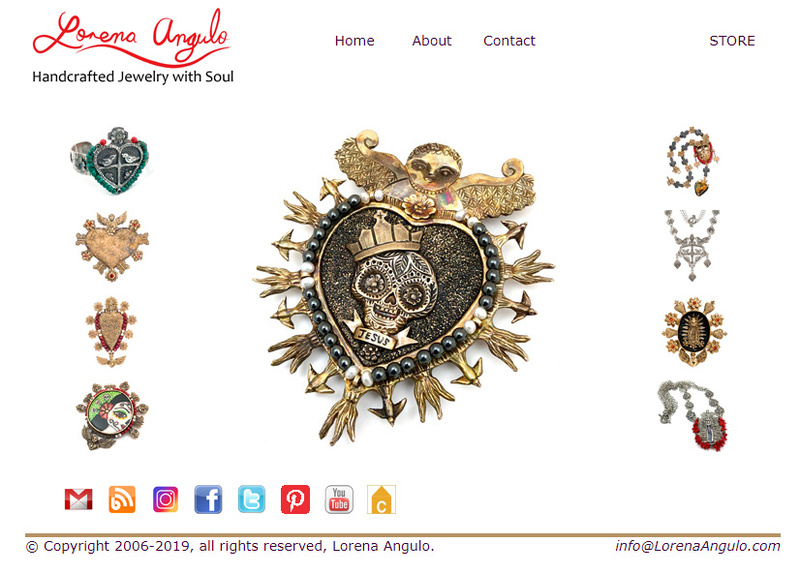 Oooh...what pretty things you make Lorena! I make art because I have to. It is just a part of who I am and I can't not do it. I already have a copy of the book, and as one of the project testers, I can tell you that the tutorials in the book are a lot of fun and there's something for everyone at every skill level. I agree with you, the book is great and I really like what Jeri did by including some testers for her projects. You all did a great job ! !